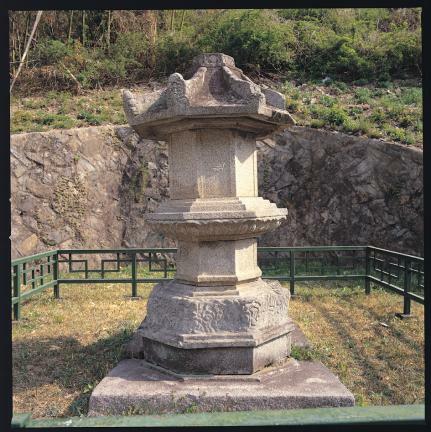 보천사는 수암사(水巖寺)라고도 전해지고 있으며, 통일신라시대 경덕왕 때 창건되었던 사찰이다. 승탑은 절터의 북쪽 산기슭 계곡에 세워져 있고, 위아래 모두 8각형의 기본형을 충실히 따르고 있다. 정사각형의 바닥돌 위로 기단의 아래받침돌·가운데받침돌·윗받침돌을 올렸다. 아래받침돌은 2단으로 이루어져 있고 그 사이에 돌띠를 돌려 구분하였으며, 윗단에는 용과 구름무늬를 얕게 돋을새김하였다. 가운데받침돌도 8각으로 모서리마다 기둥 모양을 새긴 후, 면에 타원형의 조각을 두었다. 윗받침돌에는 2겹으로 16장의 연꽃잎을 조각하였다. 탑신은 각 모서리마다 기둥 모양의 조각을 두었고 8면 가운데 한 면에만 문짝과 자물쇠 모양을 새겨 놓았다. 지붕돌은 매우 두꺼운 모습으로 정상에서 각 모서리로 뻗치는 선을 높게 돋을새김하였고, 그 끝마다 큼직한 꽃장식을 얹어 놓았다. 머리장식은 모두 없어진 상태이다. 전체적으로 각 면을 안으로 굽어 깎은 점이 특징적이며 기단의 아래받침돌에 새긴 용과 구름무늬가 무기력해 보이는 흠이 있다. 또한 지붕돌이 무겁고 두꺼운 점은 시대가 내려오면서 나타나는 특징으로 볼 수 있어 승탑이 건립된 시기는 고려 전기로 짐작된다. 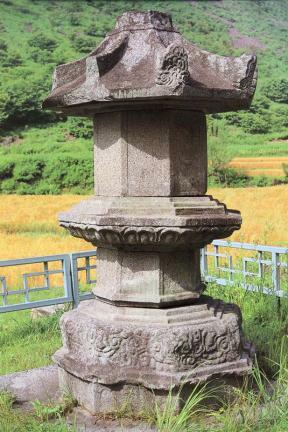 This stupa is located in a valley near Bocheonsa Temple site. 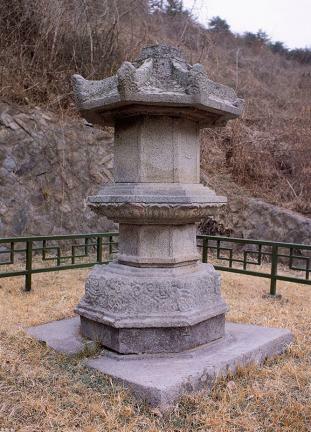 Bocheonsa, also called Suamsa Temple, was founded during the reign of King Gyeongdeok of the Unified Silla period. 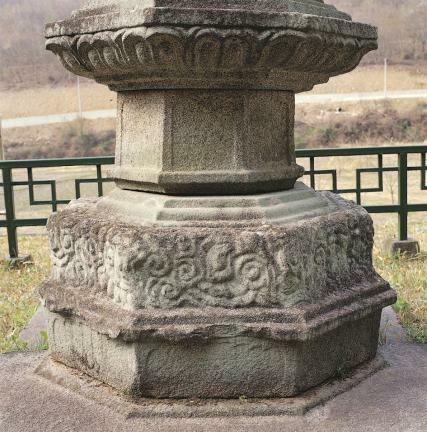 This stupa is of the typical octagonal design. The platform consisting of bottom, middle and top layers is placed on a square foundation stone. A stone girdle is placed between two tiers of the lower layer. The upper tier is engraved in relief with cloud and dragon patterns. 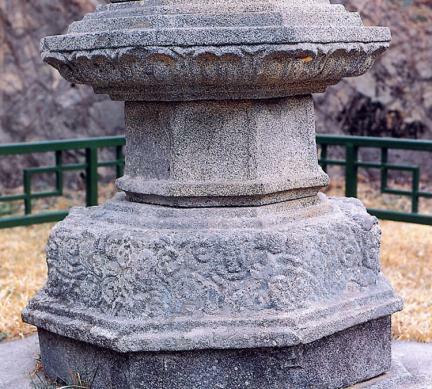 Each corner of the octagonal middle layer of the platform is carved with pillar patterns, and each facet is engraved with an oval design. 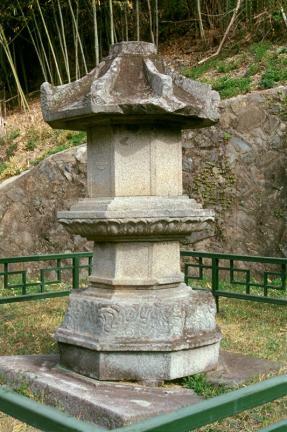 The top layer of the platform is engraved with 16 two-layered lotus petals. Every corner of the main body is carved with a pillar design and only one side is engraved in relief with a door and lock design. The roof stone is rather thick and heavy. The lines from the tip of the roof to the edge are in high relief and large flower designs are placed at the ends. However, the finial is completely missing. 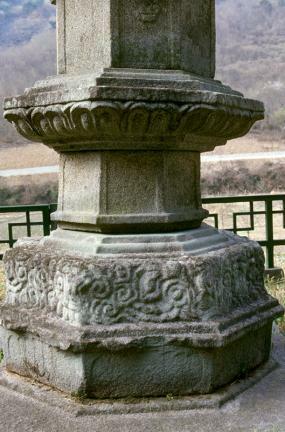 The stupa is distinctive in its carving skill, trimming inwards, but there is a lack of expressiveness in the design of clouds and dragons carved on the lower layer of the platform. 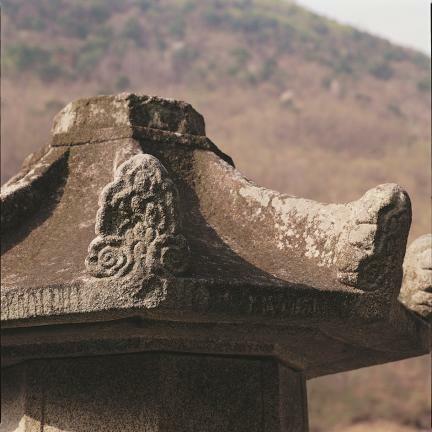 Judging from the thick, heavy roof stone, it is believed to have been built during the early Goryeo Dynasty.